Customer Service Crews are dispatched for all calls and perform maintenance and inspection of water meters and water mains for leaks. They also inspect sewer mains in cases of sewer backups and sewer odor calls. These crews are also responsible for investigating stormwater flooding issues and sinkholes called in by customers. The Installation & Repair Crews are responsible for all new water, sewer, and stormwater line installations and all in-house capital projects. They also perform all repairs and maintenance on the water, wastewater, and stormwater system . The Camera Inspection Crew performs all video inspections of the stormwater and collection system lines. They also locate and mark customers sewer taps when needed, so utility crews can dig underground safely. The Vacuum Truck Crew manages and cleans culverts and stormwater intakes when they are stopped up. They also assist at times with water control during water main repairs. The Smoke Test Crew is responsible for testing for cracks in sewer pipes. The crew is sometimes used to inspect cases of sewer odor in the home. The Locator/Geospatial Technician is responsible for locating underground water, sewer and stormwater lines. 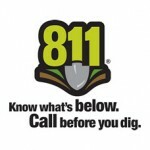 CALL BEFORE YOU DIG (1-800-752-6007) or simply dial 811. The Valve Maintenance Crew is responsible for locating and maintaining operation of water valves. The Construction Inspector inspects capital projects and development construction to insure compliance with HWU standard specifications. All Field Crews assist in the hydrant flushing that is done twice per year to flush all water mains in our system. We flush the lines, per Kentucky Division of Water requirements, to help assure good, clean water to all of our customers.